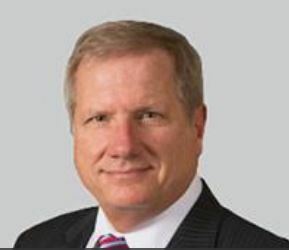 This week on Federal Tech Talk, host John Gilroy speaks with Rick Lober, Vice President and General Manager of the Defense and Intelligence Systems Division at Hughes Networks. Lober gives an update to the challenges in handling the tremendous amount of data generated by the move to Big Data and how the proliferation of satellites can support this transformation. 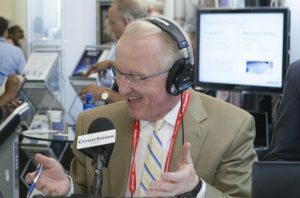 Rick Lober, VP & GM, Defense and Intelligence Systems Division, Hughes Networks During the interview, Lober brings out many of the issues faced by federal leaders in the area of managing data using satellites as an integral part of a hybrid network. The satellite business has been transitioning from delivering capacity to serving data-centric applications for more than a decade including the use of smaller satellites and digital network technology, all to support resilient, multi-megabit communications. In the past five years, we have seen satellites get so small that they can fit in your hand,and have seen so many large and small satellite launches it is hard to keep track. You may be surprised to learn that the United States had 27% of the launches in 2018 and China had 34%. All of this leads to challenges in managing all of the RF signals to ensure security, resilience and uninterrupted communication networks. For years, these have been managed individually by proprietary systems that are limited by the physics of space and a lack of flexible, open standards. Today, satellite communications companies are leveraging the cloud and software-defined WAN optimization and dynamic path selection to enable enterprise network management and control, a growing DoD priority. If you are interested in technical topics like automated multipath networking and conversion of RF to Internet Protocol, the interview with Lober provides a good basis for future research.